Johannesburg - South African regulators have joined the investigation into an accounting scandal at Steinhoff International Holdings that’s wiped $11.4bn (over R150bn) off the value of the global furniture and clothing retailer. That’s over and above a review by Johannesburg’s stock exchange and previously disclosed investigations in Germany, where the company is listed. The probe deepens the plight of Steinhoff, which said late on Tuesday that Chief Executive Officer Markus Jooste had quit after uncovering financial wrongdoing. Shares in the owner of Conforama in France and Pep in Africa have plunged 78% over the past two days. The retailer has its roots in South Africa and has expanded aggressively around the world with a series of acquisitions, including Mattress Firm in the US and Poundland in the UK. Public Investment, Steinhoff’s second-largest shareholder and a manager of South African government-worker pension funds, said it’s awaiting information from investigations “by domestic and international regulators and/or law enforcement agencies” before making a decision on its investment. The PIC owns a 10% stake in Steinhoff, which is now worth $1.1bn less than two days ago. The retailer’s biggest shareholder is billionaire chairperson Christo Wiese, who has stepped in to take temporary charge of the company. He hasn’t yet responded to requests for comment. “Allegations of accounting irregularities by Steinhoff are serious concerns for PIC,” Deon Botha, head of corporate affairs, said in an emailed statement. 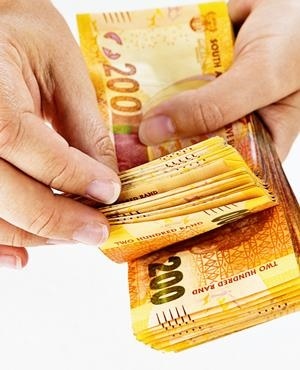 Gigaba said he’s “mindful” that many retirement and savings funds will be hurt by the loss in value and has asked the PIC to prepare a report on the extent of the exposure. Steinhoff said earlier on Thursday that it’s considering boosting liquidity by selling assets worth at least $1.2bn and reviewing the recoverability of non-South African assets worth a further €6bn. It confirmed that Chief Financial Officer Ben La Grange remains in his position, saying there’s no evidence he was involved in matters being investigated. Steinhoff has scheduled a meeting with lenders from two of its syndicated debt facilities, according to three sources familiar with the matter. “They are walking a tightrope at the moment,” said Jean Pierre Verster, a fund manager at Cape Town-based Fairtree Capital. The share decline “implies the market is giving them less and less benefit of the doubt that they will address the situation. So they can save their company, but time is of the essence”.